Lowlight Ghian, ett Kaizenprojekt: The blog will soon re-open! The blog will soon re-open! Thanks to a generous blog-reader in Central Europe I have come across some very interesting material related to the early attempts of making high performance versions of the kdf/VW engine. Thus I find it's now time for me to re-open the blog! Above is a teaser. 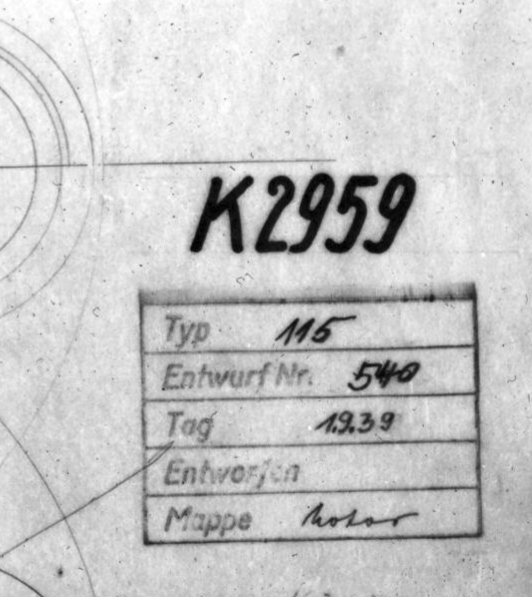 It's a part of an engine drawing from Porsche dated 1 September 1939, the very same day as German did invade Poland. In upcoming blog posts I will tell you the story behind this drawing and how the off-springs of this design did affect the post-war racing scene.